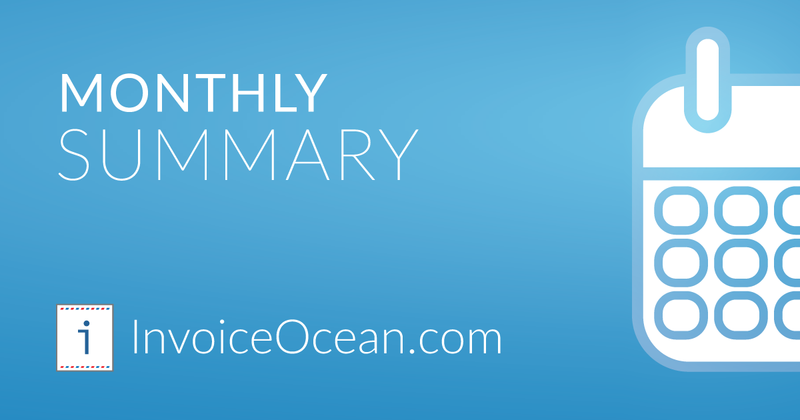 You are reading our newest monthly summary of InvoiceOcean updates. We kept it short and sweet so that you can keep up with our newest developments even if you're short on time. Enjoy! 1. The tax summary section is now located below the itemized invoice table. 'Total' has been moved to the very bottom, with 'Including' just above it - we think it's a more intuitive and readable layout. 2. Many of you have asked us for a better access management system, especially with regards to departments, inventory and prices. We listened and gave you an option to not only divide your team into departments, but also limit access to warehouses by department. 3. We've added another item to our list of supported languages - Latvian. Now you can issue both mono- and bilingual invoices in Latvian. Click here to browse the full list of supported languages. 4. We've improved the layout of the issuer/addressee field - from now on it can include information about the person's country of origin. 5. You can now access much more information about actions performed on a document. We've started logging the following actions: changing the invoice's status, gross amount, number, date of sale and date of issue. 6. We've added a button that recovers old tax values on invoices. In the past the feature worked less than optimally, but now you can easily recover the hidden tax column on any document. 7. Most of you probably know that you can switch between invoice templates by going to Settings > Account Settings > Invoice Templates. This setting can also be adjusted directly at the invoice level. We are constantly adding new templates for you to use - just this month we've created the minimalist 'Simple' layout. 8. We added a filter that lets you view browse paid invoices only on your cash and flow statement. 9. The 'ID', 'additional description' and 'email' fields are now searchable. 10. We've added an option to quickly issue invoices from the receipt level. Click here to see it in action!